Nuvo-6018GC is world's first industrial-grade GPU computer supporting high-end graphics cards. 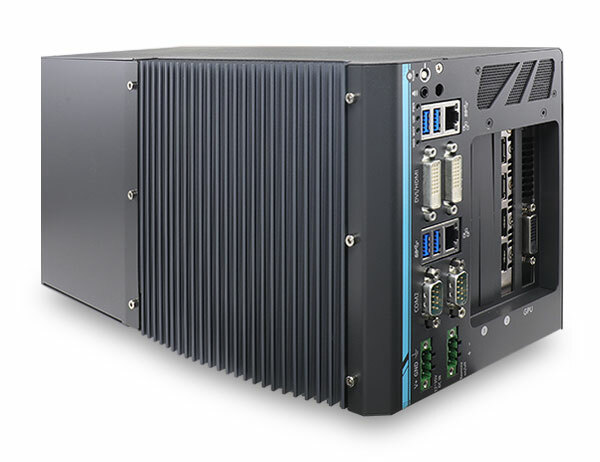 It's designed to fuel emerging GPU-accelerated applications, such as artificial intelligence, VR, autonomous driving and CUDA computing, by accommodating nVidia GPU with up to 250W TDP. Leveraging Intel C236 chipset, the IPC supports Xeon E3 V5 or 6th-Gen Core i7/i5 CPU with up to 32GB ECC/ non-ECC DDR4 memory. It incorporates general computer I/Os such as GigE, USB3.0 and serial ports. In addition to the x16 PCIe port for GPU installation, the IPC further provides two x8 PCIe slots.